The foods that I used to miss most after a prolonged absences from Toronto were hotdog cart Italian sausages (spicy, with corn relish! ), fishball hor fun (smooth slurpy flat rice noodles in soup with fishballs/fishcakes bursting with umami), and wonton noodles. 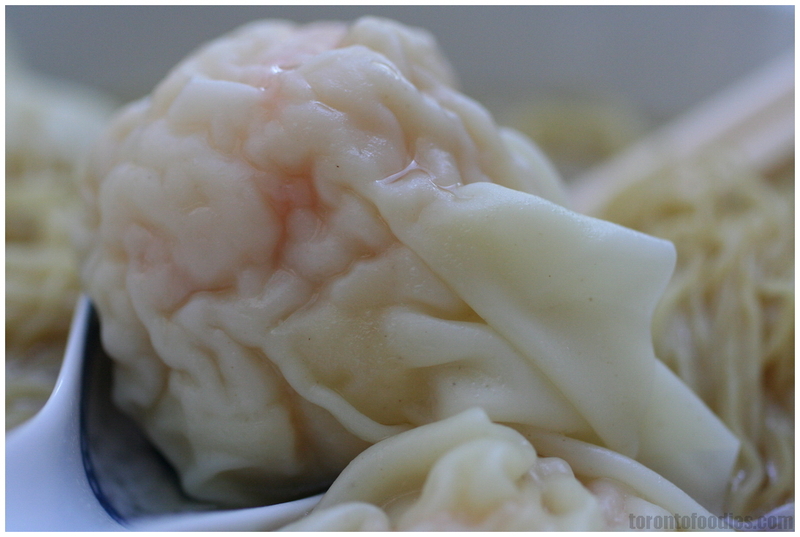 I’ve been on a search for great wonton noodles in the Greater Toronto Area, but I’ve not found any place that excels at both plump fresh crunchy wontons and al dente-squeaky noodles. 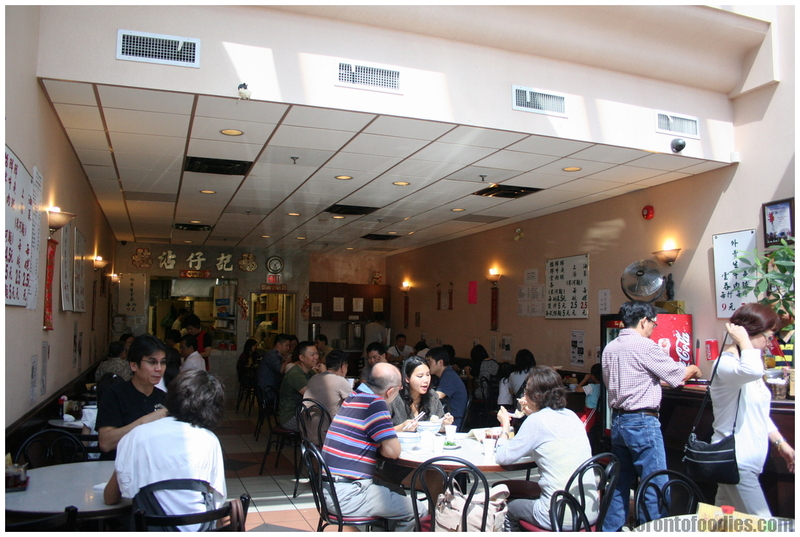 My favourite place for noodle texture, Goldstone in Chinatown, has terrible wontons. Everywhere else though, the noodles are too soft and have no resistance. 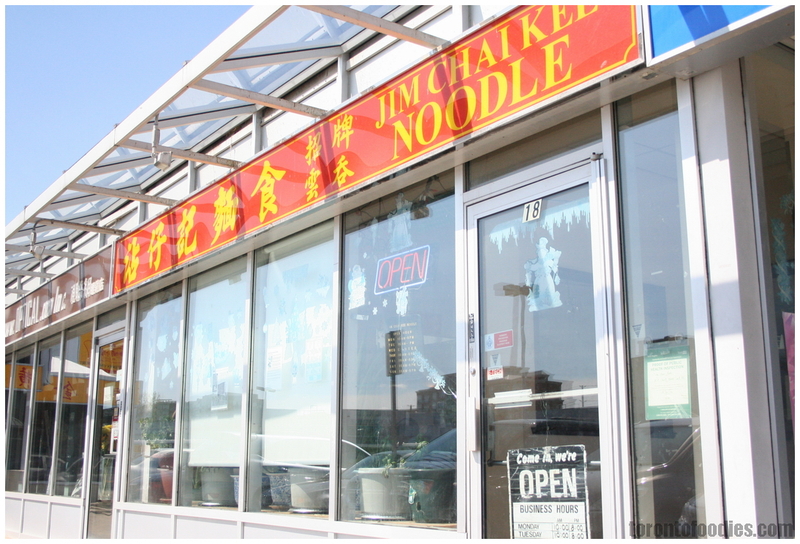 Quite a few folks suggested Jim Chai Kee in Richmond Hill, in the same plaza as Wasabi Buffet, Walker Hill KBBQ, and the defunct Just Desserts and Paparazzi Nightclub. The room is pretty busy, considering it’s Sunday afternoon on a hot late summer day, hardly the weather for a steaming bowl of noodle soup. Warm tea is served, with cold water only available bottled from the refrigerator. The menu is very limited, boldly featuring their signature wontons, with your choice of vermicelli, flat rice noodle, or wonton egg noodle. There’s also fishballs, beef (slices? ), plain noodles, and a chinese vegetable dish with oyster sauce. The vegetable dish ($2.50) was blanched ~something~, with a dollop of oyster sauce for seasoning. 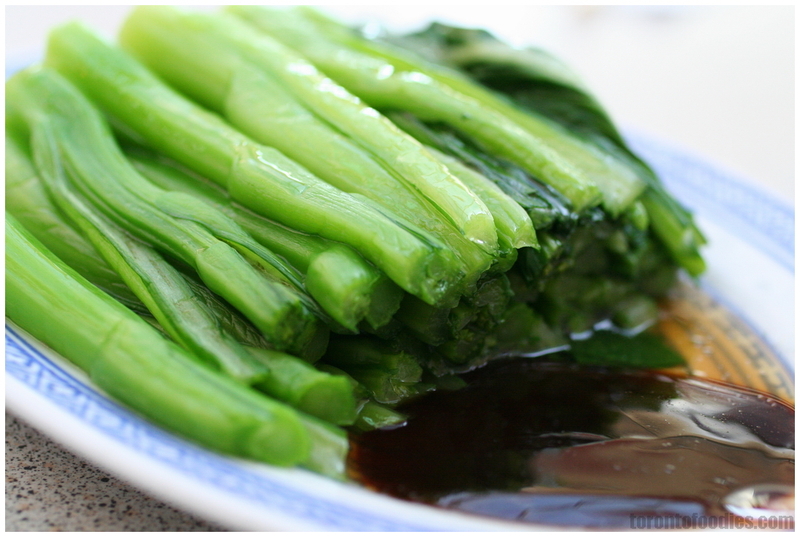 It didnt have the crunchy core associated with gailan, nor the hollow stem of a tongchoi or a-chai. The vegetable was unremarkable, and there was some pooling of water under them. In its defense, it wasn’t oily at all, which can sometimes happen with a simple “oil vegetable” dish. 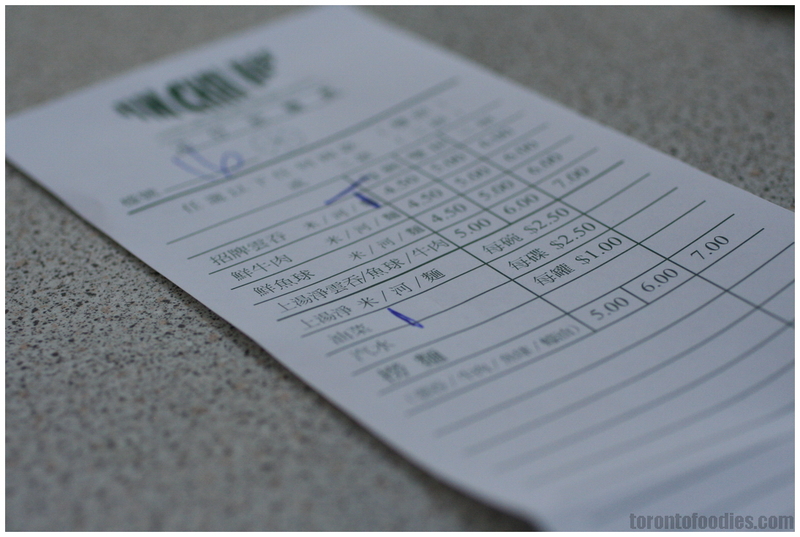 The wonton noodles ($4.50) were a tale of two halves. The wontons were phenomenal. The skin was smooth, cooked just long enough to avoid getting mushy, while keeping the shrimps inside perfectly cooked through. The shrimp filling were fresh, crunchy, clean, and devoid of any filler material. The shrimp was seasoned just enough to lend its salt and umami to balance the noodles. While I’m usually more focused on the noodles (with wontons as an afterthought), these wontons made me think very different. 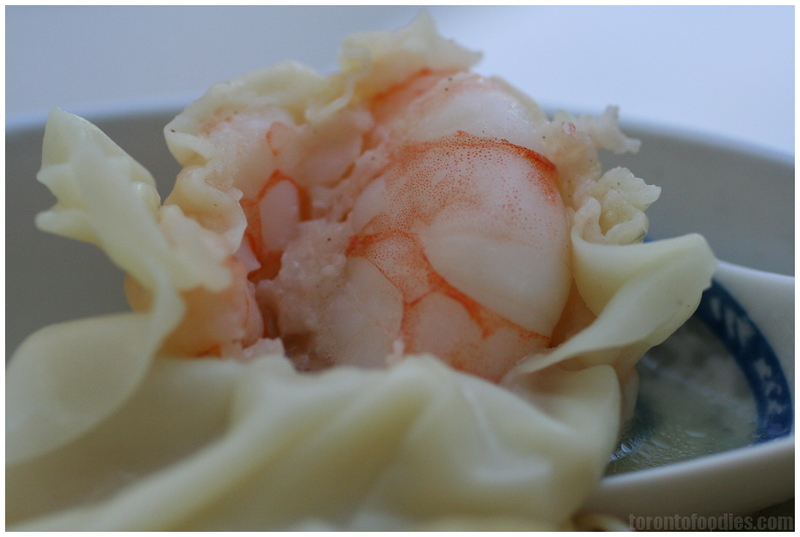 These have set a new standard for all wontons for me. The noodles left me disappointed – decent but not great. They weren’t mushy-soft, but they were far from the elastic, squeaky al dente I hoped for. The soup base wasn’t overly salty, but did not have too much depth either. I may ask for them to cook the noodles a bit less next time. I’m not sure how well they would take the request, but if they can, it would certainly be an amazing bowl of noodles. I can see you are a wonton noodle fanactic. I actually dont like the noodle of the wonton noodle. Are they made of eggs? I prefer rice noodle anytime. I have actually never heard of this place having living in the uptown area for so long. I shall try their fish ball noodles next time! love that! I would happily try their fishball hor fun as well. That’s my other favourite noodle soup. 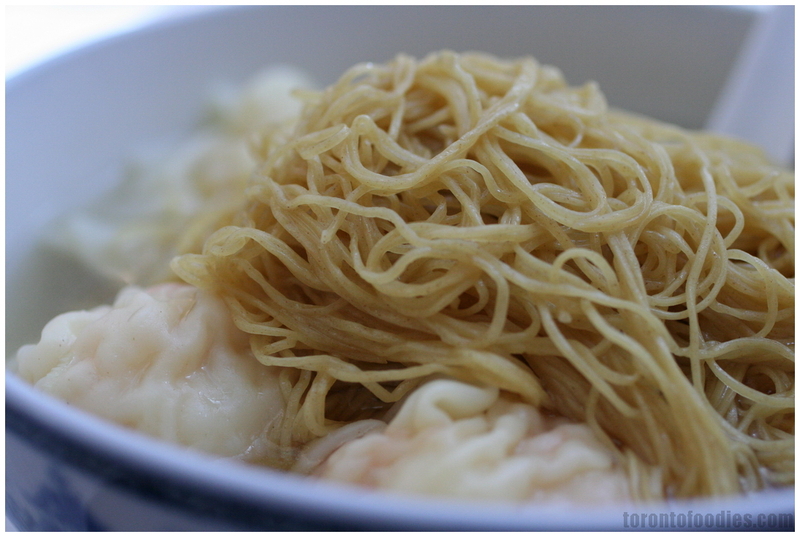 I wonder if there is an agreed-upon favourite spot for fishball horfun in the GTA?